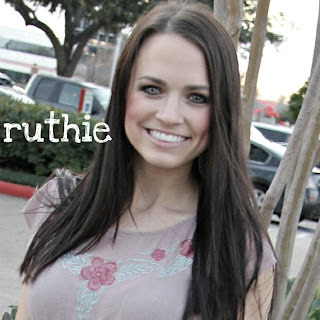 I am Ruthie Hart and I blog over here. I am a Christian wife, puppy mommy, marketer by day, and blogger/crafter/dreamer by night. We live in the greatest city in the US of A...Austin, TX! my wedding day was NOT the best day of my life. Don't get me wrong! Our wedding was perfect. It was so beautiful and more than anything I could have ever imagined in my life. Jon and I became one in the eyes of the Lord and celebrated with a huge party with our family and friends. Oh and getting your hair and makeup done...hard to top that! So back to the best day of my life. I can't say that because everyday, life gets better. I fall in love with my husband even more. Marriage is so much greater than any flower arrangement, fondant cake, or 5 piece band. What makes life and marriage so great? 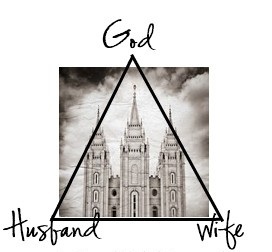 I am fully committed in being a Christian wife. Oh and not to mention...we have SO MUCH FUN together! Like the time we threw a wig party for Jon's birthday, or the time we went to the wax museum in LA. 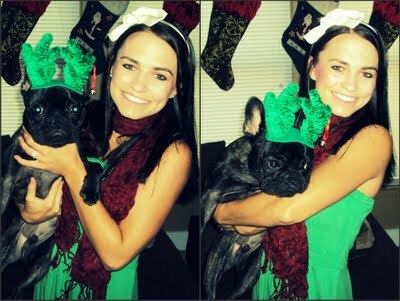 Or maybe last summer when we were fed up with the Texas heat so we celebrated Christmas in August? Marriage is a gift from God. Yes it is work, but it is fun work! I look up to my husband in so many ways. I love who he is as a Christian, friend, son-in-law, sales dude at work...I couldn't ask for anything more in a mate and head of our household. So the moral of the story is, faith does wonders on a marriage. Our marriage is solid, fulfilling and will be everlasting because we honor the Lord, who created this wonderful covenant for man and wife! I'd love for you to tell me what makes your marriage/relationships/friendships strong. I love this post. I think this is exactly why I haven't found my perfect man. I know that I want a marriage centered around Christ, but as a Christian I want to at my best I can be before I find that special someone. Maybe I'm going about this the wrong way. I've always admired my brothers marriage. He and his wife weren't always Christ centered and they had many issues before they let God be in control. They seriously are the perfect couple and have the most godly children. It doesn't mean they don't make mistakes, but everyone does. So awesome. Communication is so important. Plus he works nights I work days! It's great and insures we don't kill each other! Ha! I just love this! Thanks for motivating me to be a better Christian wife. No marriage is perfect, but it is such a blessing to hear of other couples striving to stay Christ-centered like Luke and I strive to do. :) Be blessed friend! I thought this post looked familiar...LOL! It's a great message so I'm glad you're sharing it with your readers as well! And I totally feel you, I've been so busy lately I've had zero time for blogging! I remember reading this post over on Jane's blog :) I still think it's so great of you and your outlook on marriage with Jon. Makes me so happy to see you so happy! I love this post! I tell my friends the SAMW THING - that the wedding is great, but they will be amazed at the marriage, and that it does get better every single day! Thank you for this post.. you make me want a closer relationship with GOD! I believe that nothing can be done without a firm foundation! 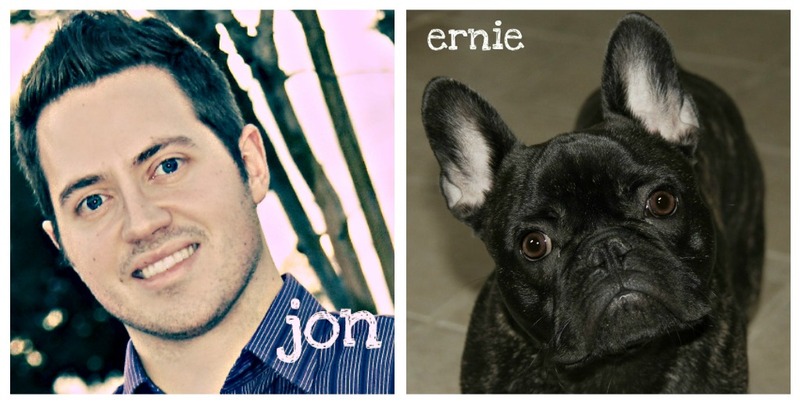 I pray that one day my husband and I will achieve a relationship like the one you and Jon have. Ruthie, what a great post! For me being newly engaged and planning the wedding, I get lost in the financials and preparation stress of the ACTUAL wedding day. It's not about all that. It's about loving and honoring the Lord every single day with our commitment! I love that idea, life gets better and better. 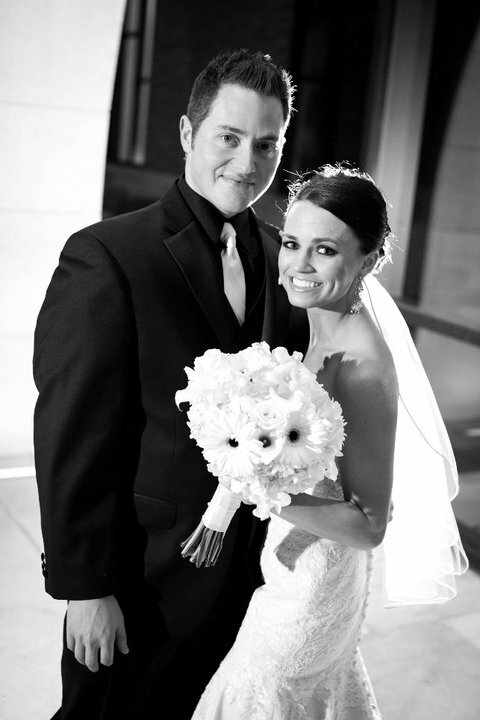 I loved my wedding day, but there are so many days where I am so much more in love with my hubby now! This is so awesome! Thanks for sharing! My husband and I are committed to God first, then each other, then everyone else : ) My hubby shows me God's love all the time, especially when I (often) fall short as a wife. It has been so cool to see God work behind the scenes to get us to where we are today, and I love serving him together. 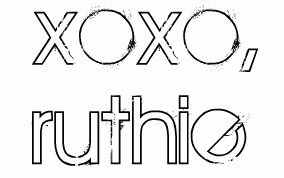 Oh my goodness Ruthie, I am so glad I found your blog right now! This post IS exactly what I needed tonight :) i love that my husband truly believes in our Heavenly Father, as we get closer to him we get closer to each other. I absolutely love how you center everything around God and the Bible! So many bloggers tend to stay away from it. I love this post! 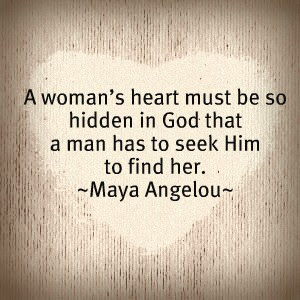 I am a Christian wife too, and I definitely strive to be a Proverbs 31 woman. The husband and I definitely have Jesus at the centerpoint of our marriage... it's a beautiful thing. It's amazing seeing another young married couple with the same views on marriage as us. And we both live in Austin! Whoo Whoo! lol. God bless you all!